“A lockdown at Yelm High School Wednesday has ended. The lockdown was instituted after administrators received a report that a student was planning on bringing a weapon to school. “The school said a few students reported that a student made social media reports about a weapon. “School officials and police met with the student. “The school said there was a thorough search and that no gun was found. “The school and police determined the lockdown could be lifted at 10:20 a.m,” quoting KOMO-TV 4 News, Seattle. “UPDATE 10:25am – During first period today Yelm High School administration placed the school into a precautionary lockdown. A few students reported to administration that a student had made social media posts about a weapon. School administration and law enforcement worked quickly with the student alleged to have made the posts. School staff and Yelm Police conducted a thorough search and no weapon was found on campus. 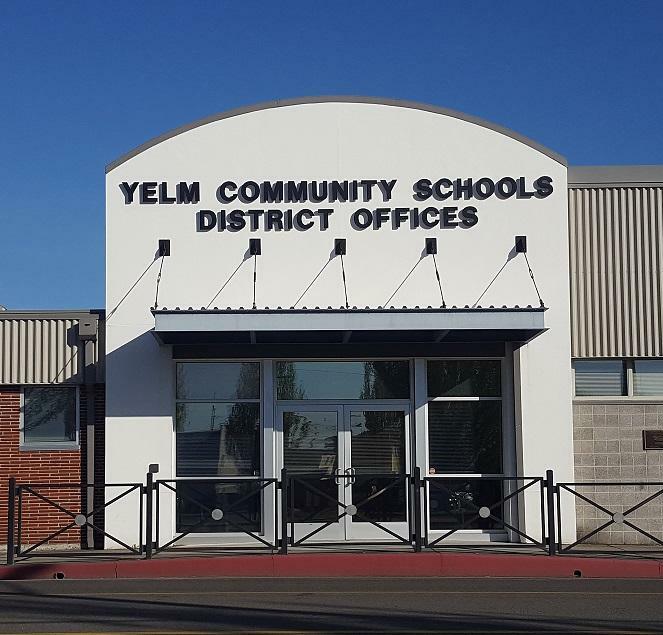 At 10​:20​ a.m. school administration and Yelm Police determined the lockdown could be lifted and school operations could continue. Staff and students did a great job of first reporting the concern, and then following safety procedures. Again, the lockdown was a precautionary measure and no weapon was on campus. Thank you to our community for their cooperation today. * Yelm Creek Apts. LLC agrees to change their conduct. 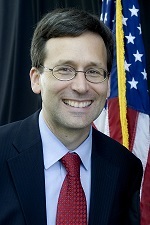 “‘Veterans are protected from discrimination by Washington law,’ State Attorney General Bob Ferguson said in a statement,” by Heidi Groover, The Stranger, Seattle. “A Yelm property management company was among eight across the state identified in a sweep to crack down on illegal housing discrimination against veterans with disabilities. Yelm Creek Apartments LLC in Yelm was cited under the Wing Luke Civil Rights Unit Investigation for improperly rejecting Veterans Affairs Supportive Housing (VASH) vouchers. That company and eight others have entered into agreements with the Attorney General’s Office to end their discrimination and consider VASH vouchers as payment,” quoting the Business Examiner. “A team of paramedics responding to a medical call in Yelm got an unexpected surprise. “While loading a patient into the back of the ambulance on Monday, the patient’s goats tried following their guardian,” by Brian Price, KING 5 News, Seattle. Do you remember where you were when Yelm was shaken? 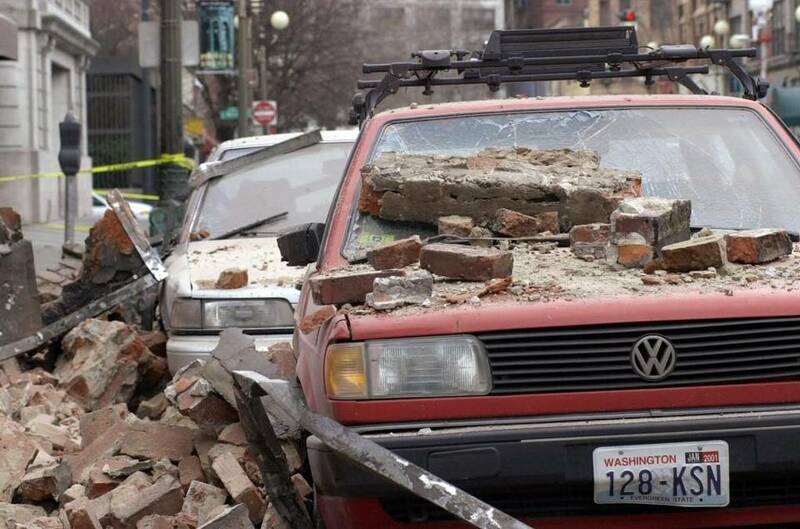 “At 10:54 a.m. on February 28, 2001, a deep earthquake centered near the Nisqually Delta northwest of Olympia startles the entire Puget Sound region and causes more than $1 billion in damage to area buildings and roads. The 40-second quake, calibrated at a magnitude of 6.8 on the revised Richter Scale, injures an estimated 200 persons in the region, and is cited as the cause of a fatal heart attack in Burien. Hardest hit structures are located in Olympia, including the State Capitol, and in Seattle’s historic Pioneer Square. The quake is the strongest since 1949, although a “weaker” 1965 temblor caused more damage and was blamed for seven deaths. “Scientists quickly placed the epicenter of the earthquake at approximately 30 miles below the Nisqually River delta, a point 11 miles north of Olympia, along a subduction zone in which the Juan de Fuca tectonic plate is sliding beneath the North American plate. A 7.1 magnitude earthquake originated in this same area on April 13, 1949, killing eight and causing substantial property damage,” by Walt Crowley, HistoryLink.org, The Free Encyclopedia of Washington State History. “This is raw footage from the KIRO 7 archive of the Nisqually Earthquake in Seattle, Feb. 28, 2001,” from KIRO TV 7 News, Seattle. “Governor Inslee made national headlines after confronting President Trump over his proposal to arm teachers to prevent future school shootings Monday morning [February 26, 2018]. 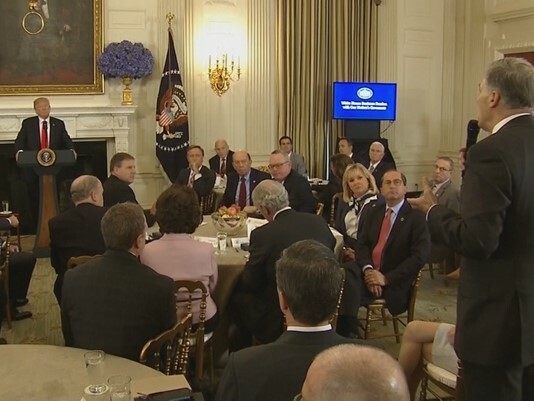 The exchange occurred during a meeting with the nation’s governors at the White House,” by Natalie Brand, KING-5 TV News, Seattle. Click here for the video exchange. Yelm is the smallest of the 4 cities, yet has the highest paid mayor! – The Yelm city council is set to create a Salary Commission. Tuesday evening, February 27, 2018, the council will vote to establish a Salary Commission for Elected Officials’ Salary Packages. This commission will make recommendations for elected officials’ salary increases/decreases. Does Mayor Foster need to be considered for a raise? You decide after reading below. * City of Yelm, population approx. 8,900, mayor’s salary $30,000. * City of Tumwater, population approx. 25,000, mayor’s salary $19,560. * City of Olympia, population approx. 51,000, mayor’s salary was increased last Fall to $25,000. Of the county’s 4 major cities, Yelm has the lowest population, yet highest mayor’s salary. All four cities also have a full-time city administrator to supervise/administer city functions. Yelm has a “mayor city-council” form of government with what is called a “strong-mayor,” meaning the mayor is the chief executive and administrative officer. The Mayor’s salary is commensurate with his part-time status pegged by the council at $30,000 annually plus benefits – and Yelm employs a full-time City Administrator with a commensurate annual salary of approx. $122,000 plus benefits. 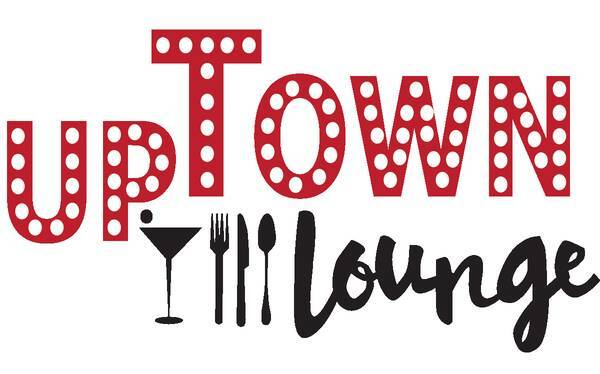 Our locally owned businesses are getting the message that they must be aggressive themselves in target-marketing their businesses, with several making investments by branding and advertising in Thurston Talk and Experience Olympia and Beyond. As this blog recently referenced, these businesses are driving visitors and tourism dollars to Yelm, boosting this bedroom community’s economic vitality. Bravo for them in taking promotion and economic development into their own hands. “General manager Vanessa Diaz shares that, “in 2018 we’re going to expand our offerings so we’re touching base with everyone in the community.” And that means more partnerships with the adjacent theater for specially themed “dinner and a movie” nights including classic films and 80s hits,” by Thurston Talk Editor. Stop by and thank owner In Suk for 21 years of service! 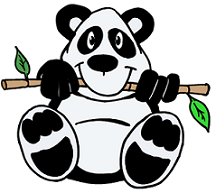 Chinese Wok owner In Suk Lind has informed the Yelm Blogger that she has sold her restaurant and will retire after 21 years in the business here. I have known In Suk for 20 of those years, since just after she opened her Chinese Wok Restaurant in Yelm. Mr. Doug’s had closed for awhile in the mid-1990s and a bagel shop opened in about the front third of the facility. That was short-lived, followed by Lind opening Yelm’s Chinese Wok. My wife and I were so impressed, we rented the entire restaurant in July 1996 for a family celebration. We have been customers ever since. In 1997, In Suk was the first buyer to invest in Creek Street Plaza with a frontage “condo” on the street. She brought needed diversity to the Yelm dining scene in 1995. Lind said the new buyer is from Tumwater and will re-open as a Thai, Asian-fusion restaurant, to be called the “Red Lantern.” They will have an opening in the spring after remodeling to their specifications. In Suk and her husband Ron plan on traveling. When new City Administrator Michael Grayum began his post here a year ago, I took him to lunch at Chinese Wok to introduce him to someone who invested in our community for over 2 decades. Through many challenges, both personal and economic, her business survived and prospered, because she offered good food at fair prices, and warm personal service. Chinese Wok was always a steady, reliable restaurant option even after Yelm Safeway opened in 1999 with Chinese take-out at their deli counter, a new Chinese Restaurant opened near the high school, and all through the 2008 economic downturn, which had a devastating effect on our city in 2008-2009. Please stop by on or before Wednesday for take-out and congratulate in In Suk! Tell her you read about her news in the Yelm Community Blog! “Ever seen legislation in Olympia move this fast? With no debate, the Washington state House and Senate approved a bill Friday that makes some legislative records public starting in July — but shields records that already exist. “Within minutes of each of other, Washington House and Senate lawmakers approved a bill Friday that makes some legislative records public starting in July — but shields records that already exist. “The votes came about 48 hours after lawmakers announced a sweeping proposal to remove the Legislature from the state Public Records Act and set new guidelines for the disclosure of some laws. “Senate Bill 6617 passed the Senate, without debate, 41-7. Minutes later, House lawmakers took it up and approved it 83-14,” by Joseph O’Sullivan, Seattle Times Olympia Bureau. By Jerry Cornfield, Everett Herald. “The legislators that voted themselves special exemptions to protect their own reputations should be ashamed,” Wagar said. Editor’s note: I only wish Mr. Wagar was as vocal in his local newspaper in aggressively covering Yelm’s mayors and state representatives as well, where he always seems demure. By The Olympian Editorial Board. Olympia Regional Airport, closest official weather service station to Yelm (16 miles), broke the low temperature record for any February 22nd. Today’s low was 16 degrees (-8.9 C.), breaking the 2005 record low of 20 degrees (-6.7 C.). The average low for February 23rd is 33 degrees (.6 C.).